September is here, and fall is near! With the summer season coming to a close, it’s time to pack up those bikinis and shorts and pull out those jackets and scarves! But as your wardrobe is full of summer wear, you’ll need to re-organize your closet so it’s ready to go for autumn. By following these tips, you’ll be prepared for colder weather and have the clean, tidy and well-organized closet of your dreams! Only Keep What’s Necessary: The hardest part of organizing any closet is deciding what to keep and what to throw aside. In preparation for the fall season, consider donating old summer garments that you will no longer have use for. Think about which shirts and dresses are absolutely essential, and consider giving away some clothing you’re less fond of to someone in need. Make More Space: Once you’ve gotten rid of unnecessary items, you may find yourself with more space than you expected. Finding useful ways to utilize that extra space is vital to making sure you can fit bulky winter clothes such as puffy jackets into your closet. Even by simply raising your shelves and rods in your closet, you can have more space to move around and try clothes on easier. Dress Your Closet Up: As summer is on its way out, why not remodel your closet to look more colorful and appropriate for the fall season? Painting your closet in fall colors can get you ready for the season and complement the changing color of the leaves outside. Another way to utilize extra space in your closet is to add a mirror or lights and give the interior a fun, personal touch. Think About Where to Store: After you’ve settled with a collection of summer clothes that’s ready to be stowed away, it’s time to find the perfect place for them. Boxes, shelves and the chests of drawers are accessible options for your summer wardrobe to go in. Keeping your storage space simple and easy to get to is essential when thinking about where your clothes should be stowed away. Give Yourself Time: When figuring out the best way to clean your closet, you’ll want to first make sure you have enough time to do so. Cleaning your closet can take several hours, and it’s best to give yourself as much time as possible. By giving yourself enough time, you’ll be able to make your closet look stunning. Make Sure Your Fall Clothes Are Washed: When pulling your fall clothes out of storage, there’s one question you should be asking yourself: Is this piece of clothing washed? It may seem like an obvious question, but you may have washed that jacket months ago, and it may no longer smell as fresh as it did before. Consider washing your best fall clothing again so they’re ready to be worn in the freshest condition possible. Hang Your Clothes Neatly: When swapping out your summer clothes for fall clothes, consider coming up with an organization method to make sure your clothes are in designated areas. Clothes should be hung up as soon as they come out of the dryer. By sticking to this routine, you’ll be able to keep your clothes free of wrinkles and smelling fresh. Shirts should be hung up according to their specific style, such as long-sleeve shirts and dress shirts being hung up separately and not grouped together. Organize Your Clothes Efficiently: Consider hanging up your clothes according to your body, such as keeping your shirts on the top rack and skirts on the lower rack. This way you can dress for success easier and without the hassle of rummaging through a mess of unorganized clothes. Adding a cubby for your shoes can also be a helpful way to stay organized and free of clutter. Use PVC Pipes: Polyvinyl chloride pipes are a cheap device to transform your closet into something you can only dream of. Use these pipes to create shoe racks, accessory hooks and drawer dividers. Hang Up Clothes Using Shower Curtain Rings: These affordable everyday items can be a unique way to give your closet a different look. They can be used to hang up a variety of different items, from shirts to skirts. Get a Side Table: Hangers aren’t the only thing you can put in your closet. Consider placing a side table in your closet to store additional sweaters and jackets for the fall season. Add Baskets: Putting baskets in your closet can make a lovely storage space for your shoe collection or winter assortments. This can be a great way to stay organized and have your gloves and hats in the right place. Utilize Tension Rods: These budget items are perfect for arranging shoes and hanging necklaces and bracelets. You can also use them for any room in your house and make your belongings stand out more. With this advice, you can move forward into fall with an organized closet ready for the season and be able to stay organized and stress-free. 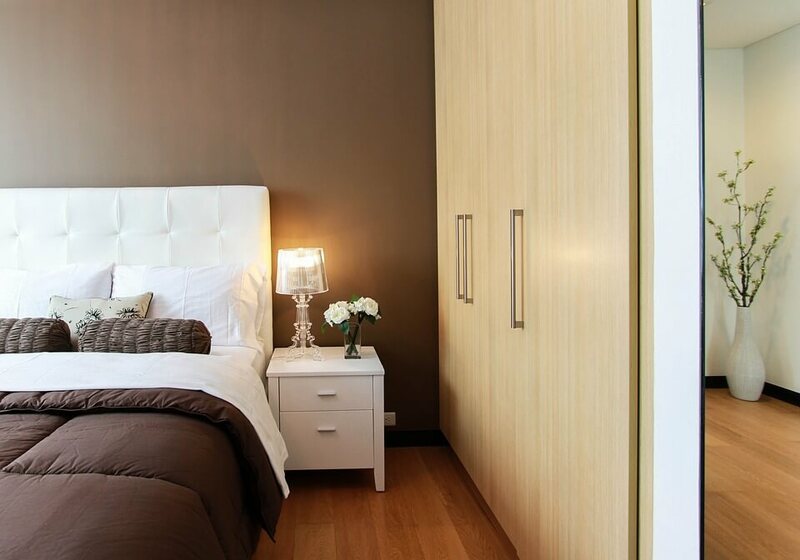 Your clothes will stay in pristine condition and look as amazing as ever by keeping your closet efficient and tidy. Now let’s all bundle up, drink a pumpkin spice latte, and jump in a pile of leaves outside! Happy fall!